Khmer Hands will be a self-sustaining, non-profit, Christian values-based vocational school designed to give Cambodia’s large population of impoverished and at-risk youth the job and life skills needed for a secure future. The unique self-supporting model will educate students, restore cultural arts, attract guests, generate revenue, and improve the community. Khmer Hands will be built on the founding belief that positive relationships are the key to achieving dreams. Whether it is enjoying a rewarding career, growing a successful business, or starting a family, a full and rich life grows with nurtured, healthy relationships. Poverty is widespread. 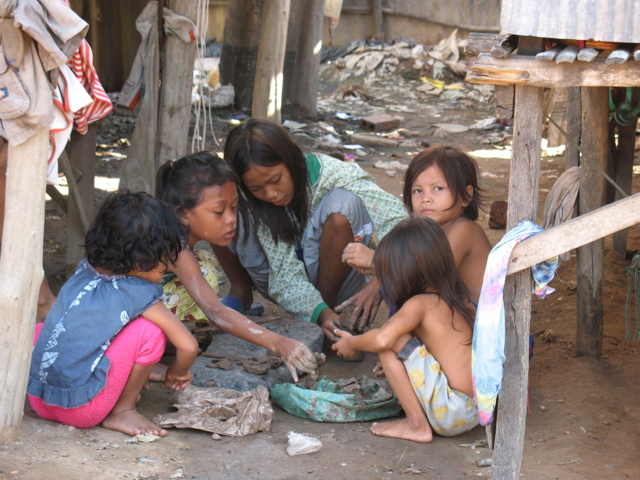 More than half of Cambodians are under 25 years old. A total of 35% of the population lives below the poverty line. In fact, the vast majority of people subsist on slightly more than $1 per day based on GNI data. Education is lacking. The poverty-ridden countryside suffers from an almost total lack of basic infrastructure and educational facilities. In fact, UNICEF data show only 17% of men and 11% of women attend secondary school, and less than 3% graduate from high school. Sexual exploitation and forced labor is rampant in Cambodia. Uneducated youth are often lured into illicit fields with the promise of steady pay. The 2012 UNHCR report on trafficking states that ‘Cambodian and ethnic Vietnamese women and girls are trafficked from rural areas for commercial sexual exploitation in Phnom Penh. The sale of virgin girls continues to be a serious problem in Cambodia’. Sadly, even factory workers in the capital city are vulnerable. Gossip and rumor in a girl’s hometown about the source of her income taints her reputation making her ineligible for marriage and thus easy prey for those who would abduct, trick or tempt them into working the ‘bar scene’. Vocational programs are few. While NGOs have set up a variety of schools and homes to serve the youngest Cambodian orphans and other children in need, few organizations target teens, young adults and single mothers with job training and skills. 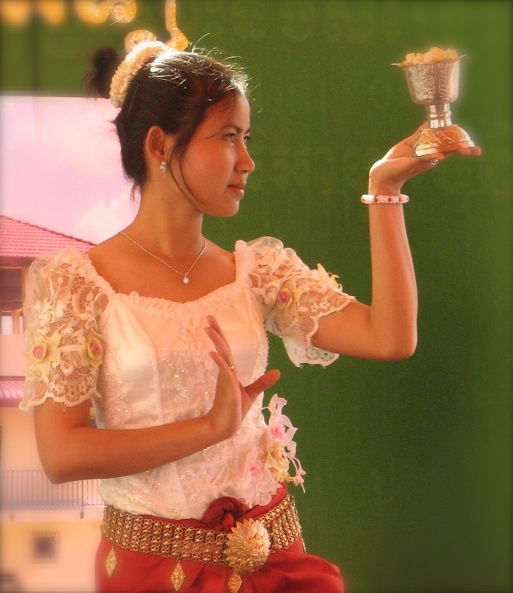 Traditional Khmer arts are disappearing. Years of war and internal conflict meant many artistic and cultural traditions were lost as expert artisans were victims of the Khmer Rouge genocide or fled the country. Tourism is booming. 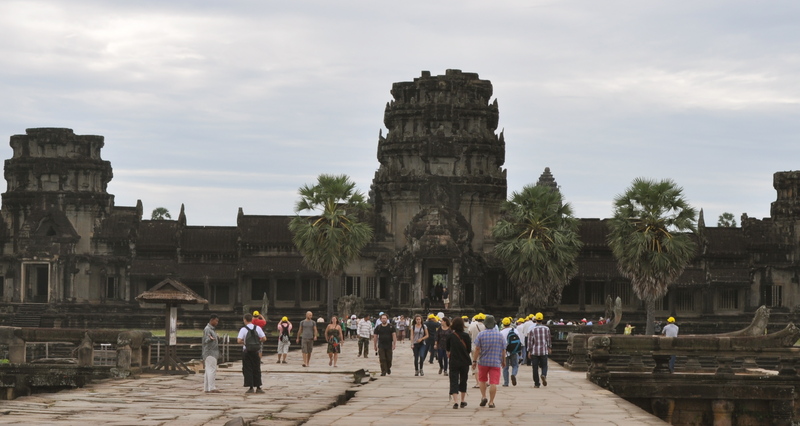 Cambodia attracted 3.6 million international tourists in 2012, a 24% increase over 2011, according to Cambodia’s Statistic and Tourism Information Department at the Tourism Ministry. In December 2012 alone, the country received nearly 382,000 visitors – that’s a 28% jump in just one year. The tourism trade is hiring. 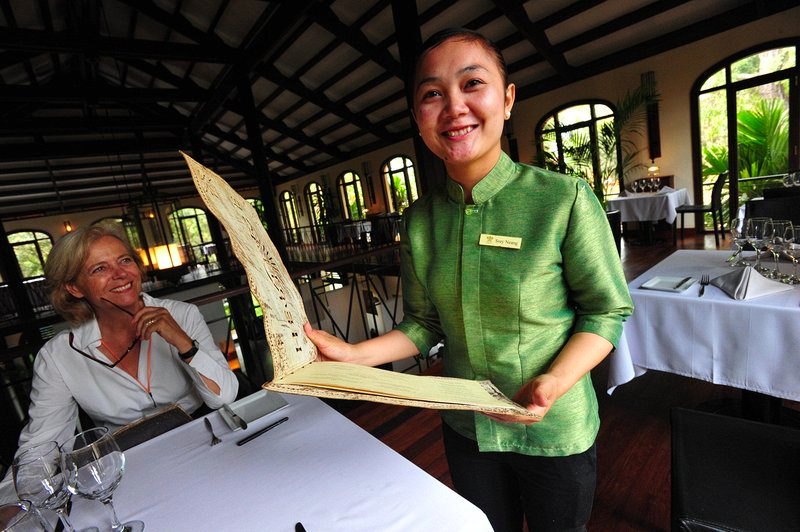 All of Cambodia’s destinations require well-trained staff in order to meet the growing tourist trade, and the ever-increasing number of hotels, restaurants, tour companies, souvenir galleries and cultural centers as well as airports, banks, and communication services. English speakers are in high demand. With the growing number of foreign tourists, trained workers who are proficient in English will have the skills needed to gain employment in a wide ­­variety of industries. The natural beauty of Kep, along Cambodia’s coastline, coupled with the caring, attentive student staff of Khmer Hands will attract travelers to the school’s hotel, restaurant and tourist ventures; providing revenue for the school while bringing opportunity to at-risk youth in the area and filling a local need for vocational training. Two vocational programs will be offered. Graduates will target the increasing demand for Cambodian tourism workers with two areas of study: 1) The Hospitality Program will offer three areas of specialization: Operations and Guest Services, Food Preparation and Service, and Culture and Ecotourism, and 2) the Fine Arts Program will offer vocational training in both applied and performing arts. English will be the foundation. English language skills will provide a foundation for all study. When possible, vocational courses will be taught in English in order to further develop each student’s language and business skills. Student body will be small. The school aims to serve 90 students. Full-time students will complete the programs in 18 months. School directors will develop relationships with employers in the community and actively work to find rewarding jobs for each graduate. School will be self-supporting after Year One. The school will operate business ventures which both earn revenue to support school operations and provide students the opportunity for on-the-job training. Four businesses will provide revenue. A boutique hotel will consist of ten comfortable, well-appointed guest rooms built in the traditional Cambodian style surrounding a lovely garden and pool. A restaurant serving both Cambodian and Western dishes will offer views of the surrounding hills and ocean. A gallery will showcase student creations from the arts program and a dinner theater will enable performance artists to display their educational progress. The Khmer Hands’ program will provide graduates with job skills and English proficiency – the keys to a future of secure employment. The program will be founded on relationship building, and teach the importance of integrity, trust, and discernment. Khmer Hands will work to impact thousands of people by restoring cultural arts, lifting communities, and building a healthy local economy with honest, skilled, and hard-working citizens. Thank you for working with us to bring choice and build opportunity for youth who have seen little; providing them with the potential to enjoy a safe, rewarding career and the excitement of knowing that they are supporting their family, growing their community, and restoring their country. Every dollar donated goes directly to the youth, their school development, and their future. Khmer Hands unique model, with ‘active learning’ students providing for the care of guests and customers will soon have the school fully self-sustaining. Please visit our donation page to see a variety of ways your support will make a difference. Just click here THANK YOU!